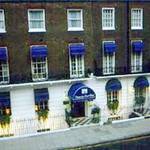 Welcome to information on cheap Hotels Marylebone in London England. We have a selection of 12 establishment from which we are sure you will find somewhere to stay that suits your needs. 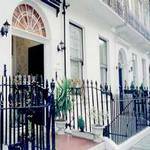 All of our cheap Marylebone hotels in London are waiting to serve you. With our simple online booking system even a computer novice will slip through the short reservation service and get a room waiting when they arrive. Once occupied by Lady Black this grand looking hotel is in a prime location very close to Marble Arch. With a first class welcome and all the amenities you could wish for, you are very well placed to explore the treasures of the West End. Mostyn is a very attractive establishment. 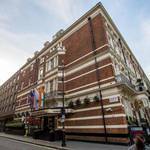 Our traditional Hotel is located in a quiet street in Marylebone 3 minutes walk from Baker Street tube station. You will find us real good value for money in a great location. 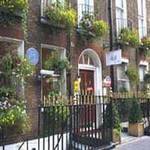 The St George is a splendidly furnished and decorate small hotel located in Marylebone London. Right in the centre of the city close to Oxford Street and the West End. Quietly nestled in the heart of the city, overlooking the peaceful garden of Portman Square we are perfectly placed for those wishing to visit on business or pleasure. Offering comfortable and cosy accommodation for your stay in town. A warm welcome with a friendly attitude from our staff awaits all our guests. The perfect location for the cost conscious traveller to the West End of London. The Bryanston Court is one of the more popular of our hotels and for good reason. A good location at a great price. Ideally located close to Paddington and Marylebone Stations we sit in the heart of the West End, giving you easy access to all main attractions of London. A warm and friendly welcome awaits all our guests in our classical red bricked town house. Perfectly placed for that serious shopper! Dangerously close to Oxford Street and easy access to the West End. A warm welcome awaits but with so much on your doorstep we wonder if we will actually see much of you. 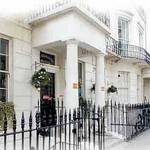 Charming, classy Georgian bed and breakfast with a warm welcome and delightful rooms situated in the very affluent Marble Arch area. 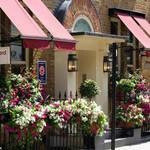 We are famous for our floral display and have received awards from the City of Westminster. Lovely place to stay whatever your purpose. Close to Paddington main station and closer to Baker Street tube stop, we are an ideal location for those wishing to revel in the West End delights of London. We aim to please and ensure you have a comfortable stay with us. Short walk to Regents Park. We are rather conveniently close to Marble Arch - the gateway to so many of London's delights. 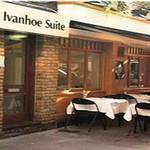 Situated on a quiet street, providing you with an oasis of calm and a relaxed environment. Marylebone is a quiet location that puts you in close proximity to most of London's main attractions. 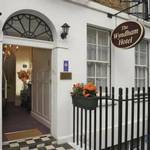 We are situated on a peaceful road, set in a Georgian building with recently refurbished rooms that are in keeping with that bygone era. We are close to Marylebone tube stop. 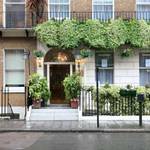 From Baker Street we are just a short walk, close to Regents Park - home of London Zoo. A great location for those wishing to explore London town and delight in its treasures. 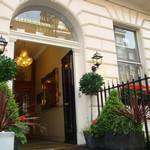 We are located just a few minutes walk from Bond Street tube stop in the heart of Mayfair. A charming building with a rustic appeal and a warm welcome. Fancy that something special - that gift extraordinaire? - you are in the best part of town for internationally renowned tailors and goldsmiths.